This "cowboy" was born in Adams County, Ohio. 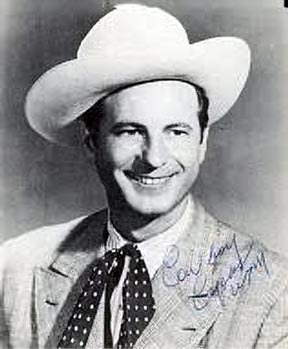 Copas was basically a honky tonk singer, and was very popular in the late 1940's, and made something of a comeback in the early 1960's before he died in the tragic airplane crash that also took the lives of Randy Hughes, Hawkshaw Hawkins and Patsy Cline. Copas dropped out of school at age fourteen and began playing fiddle in several string bands around his Ohio home. On a dare, he travelled to Cincinnatti to enter a contest and wound up performing on radio shows for Cincinnatti's WLW and later WKRC. By 1940, Copas moved to WNOX-Knoxville with a and called the Gold Star Rangers. Three years later, he got his big break; he was tapped to replace Eddy Arnold as the vocalist for Pee Wee King's Golden West Cowboys on WSM Nashville and the Grand Ole Opry. He signed with King Records in 1946, and his debut single "Filipino Baby" hit number four on the country charts in August that year. 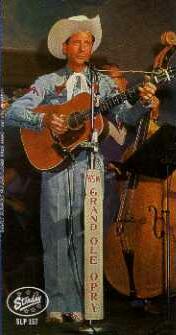 Two years later, he had the top-ten hits "Signed, Sealed and Delivered" (No.2), Tennessee Waltz (No.3) and "Tennessee Moon" (No.7) He also continued to perform with Pee Wee King on the Opry. After top-twenty singles "Breeze" and "I'm Waltzing With Tears in My Eyes" he hit the Top Ten again in early 1949 with "Candy Kisses" (No.5), and "The Strange Little Girl" (No.5). His next single, "Tis Sweet to be Remembered" went to number 8 in 1952, but it was his last song on the charts for more than eight years. He continued to perform on the Grand Ole Opry during the late 1950's, and signed a record deal with Starday records in 1960. His first single for that label, "Alabam" became the biggest hit of his career when it rode the top of the charts at number one for three months during the last half of 1960. "Flat Top" hit the top-ten in April of 1961, and a remake of his earlier hit, "Signed, Sealed and Delivered" also reached the top-ten in September of that year. 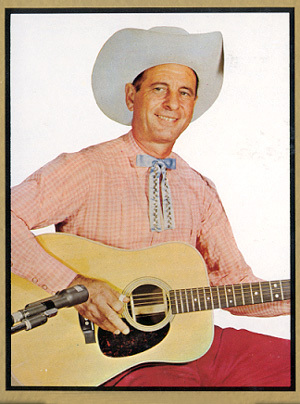 Cowboy Copas' last single, "Goodbye Kisses" hit the top-fifteen in April, 1963, a month after his death. Randy Hughes, Patsy Cline's manager, and the pilot of the plane was Copas' son-in-law.